Join us for three LIVE webinars! Join us for 3 LIVE webinars starting this Thursday, at 4 p.m., Bucharest time (GMT+3)! 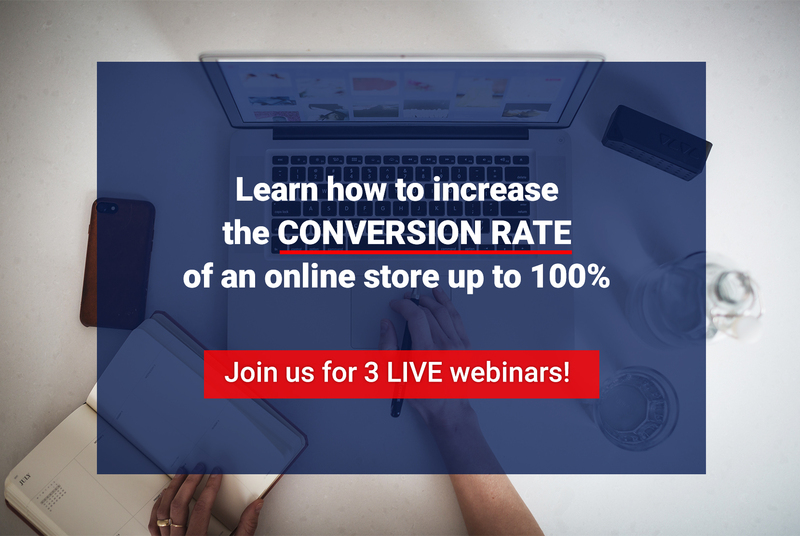 You will learn how to boost the conversion rate of your online store up to 100% in the first 3-6 months. This set of webinars is designed for each e-shop owner, marketer or agency representative in order to share the marketing expertise we’ve gathered throughout our international presence. Paula Columbu, Customer Success Specialist at Retargeting, will be your guide for these webinars. She will start the live set with the reason for choosing a marketing automation tool for e-shops. Thinking that each online store has problems regarding low conversion rates, high cart abandonment rates or low customer return rates, Paula will present the solution, an easy-to-use marketing automation tool designed to personalize the communication with the visitors. In the second webinar, she will reveal the truth behind a successful marketing campaign, considering that there are ways to enhance the communication flow with the visitors. For example, creating the best subject line for the automated e-mails will increase the open rate up to 30%. Or using a discount code feature, the main reason of opening a newsletter for almost 80% of the subscribers. In the third webinar, Paula will make 9 short training sessions combined in a simple crash course about key Retargeting features.